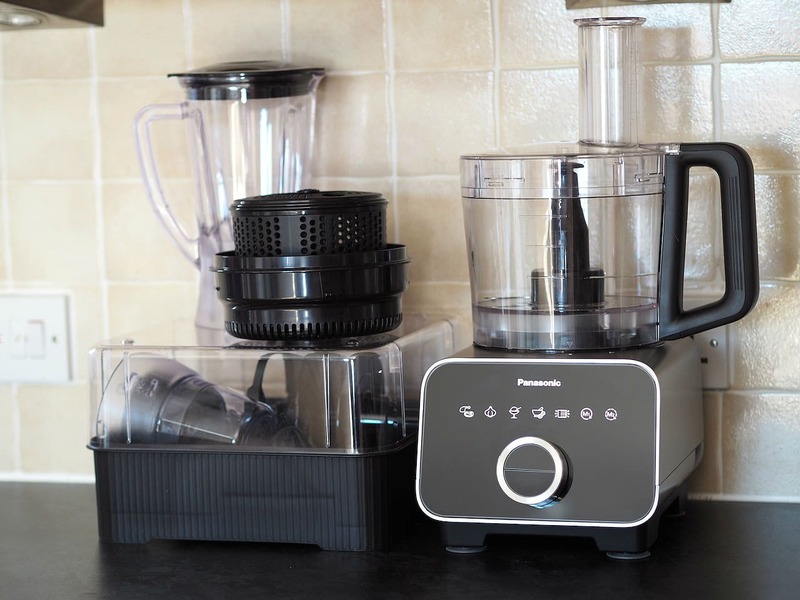 It’s been really bloody nice to test out this Panasonic blender and processor to see what I’ve been missing out on in the world of gourmet kitchen gadgets. This is the third Panasonic appliance I’ve been sent to try out, and once again I find myself staring at how beautifully sleek and shiny it is. Glossy black glass with touch screen settings and pretty blue lights. A little kitchen dream! 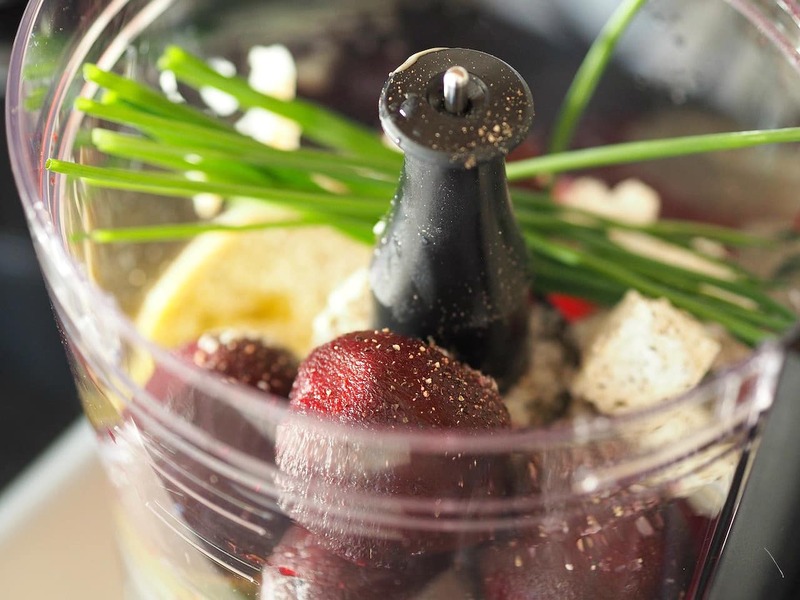 It comes with a dizzying array of attachments to fit every food prep requirement you could possibly have. There’s even a salad spinner! Thankfully, unlike my own blender/food processor (like I say, you get what you pay for) all of the attachments fit oh so neatly in a lovely little storage box for safe keeping. The touch screen is nice and responsive (I can’t stand the kind that you have to angrily press over and over!) and it makes happy little beeps as you tell it what you fancy doing. 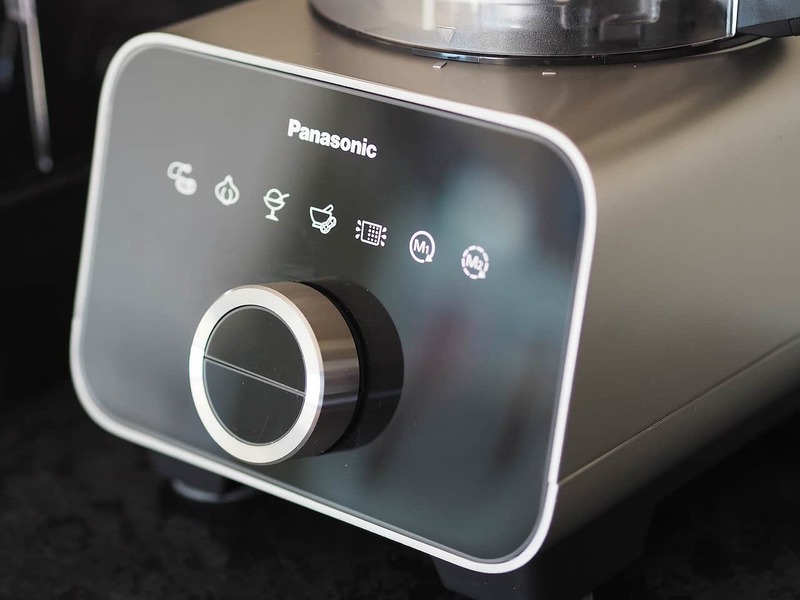 There’s a dial for the intensity/length of the action, and the option to process continuously or on a pulse which it does automatically so you can go off and do other things. 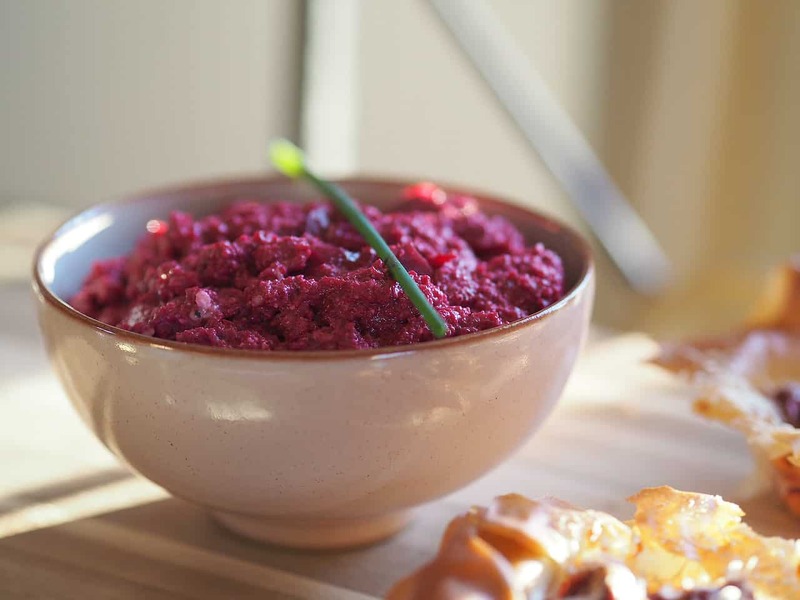 Before you know it, chunky beetroot dip is being made before your eyes. Ooh what a colour! And a lovely consistent texture. 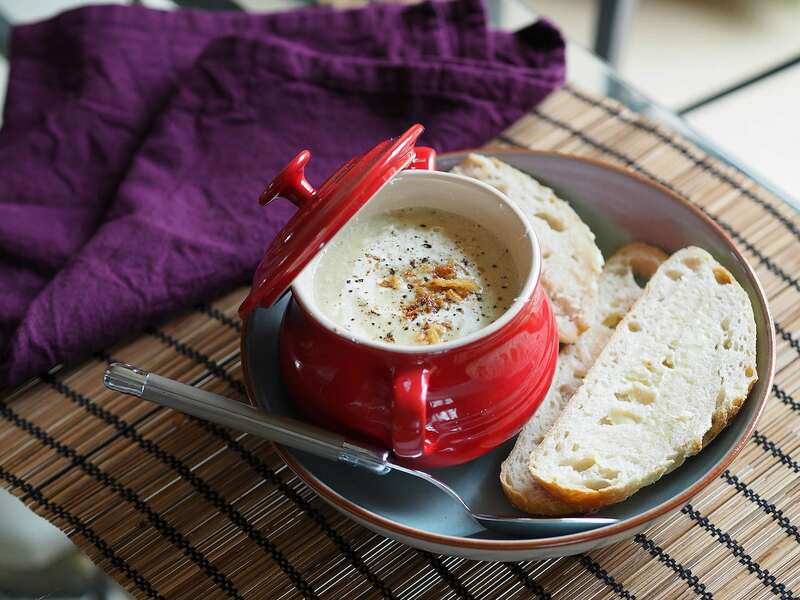 This is a very Earthy, savoury dip and very refreshing. Great with super thick tortilla chips and a cold drink. One on the other end of the scale: something warm and comforting. This was a recipe by Q which he made for me as I was suffering from a chest infection – we all know how chicken soup has healing powers. This one is full of protein and vitamins all wrapped up in a comforting yet drama free blend to get anyone feeling blue back on track! On a medium heat with a little oil or butter, fry the potatoes and leaks for 5-7 minutes, adding the curry powder once they have begun to warm through. Season well. Add the chicken and fry until cooked. Add the Worcestershire sauce and water and simmer for 10 minutes. Then add the cream and simmer for another few minutes. This mix was then poured into the Panasonic blender and set on high for about 2 minutes until smooth and thick. Finished off with a drizzle of cream, some fried onions and cracked black pepper. Perfect for dipping fresh buttered sourdough into! Attractive, easygoing, versatile and capable. Sounds like a catch right? Quality appliances make cooking so much more joyful. 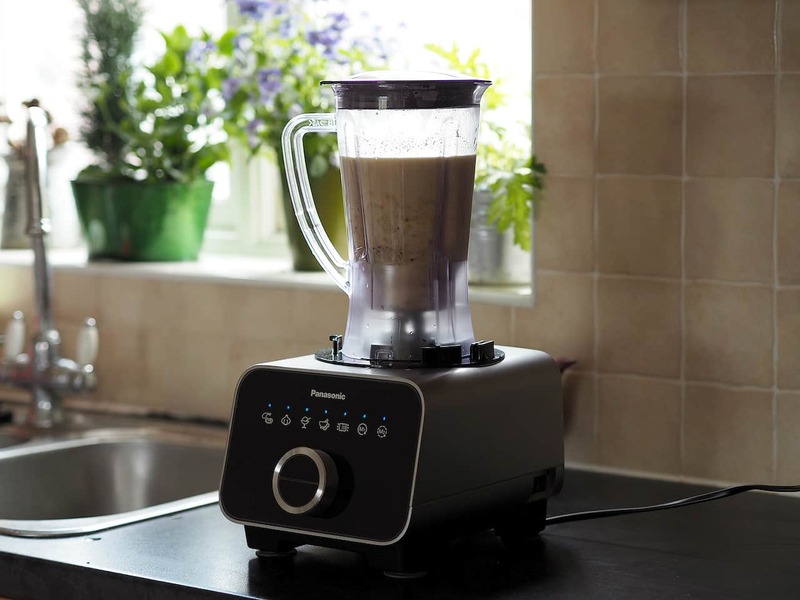 This blender/processor is smooth and sleek, it’s easy on the eye and makes nice noises. It doesn’t vibrate around the counter top like my budget blender or smell like electrical burning when it’s been on for longer than 60 seconds. This one is cool, calm and collected. I would very much like to collect the whole range!